_Hi, I am from Turkey. 26 years old. I met with Cryptos since 2017. For now I am Trader on WavesPlatform. Ones I talked with my Network. They wanted to give me money to Trade for them , like the Pool System. How much you share you Get More Profit. 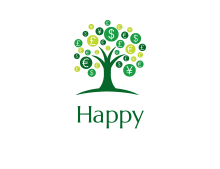 Then I created HappyCoin(HP) to sell it for the People who want to Invested in me. Then I will Buy it back Based on the Profit I made weekly with the recent price when the person wants to Exchance his Money. I also always put the Waves in HP when i get profit with the money who Invested in HP. After a long thinking I decided to change my mind ; I will Share this Chain to Everybody who want to use this HP his/her own Setted Utility . So I created a Chain “Who Operates Itself by the Entire Community Who has in it.” You can use Hps for Anything, like making your Payment or Investment Method with your Friends or your Network, using for any Utility you want and only the people who make orders in this crypto are also going to sets the Price of The HP. For me Example: I am going to use HP with telling my Network and making them Invest in me with HP like They already did before with Fiat or Waves. And I make “Sell Order” for the Network who want to invest in HP. (Everybody who has HP can use it for any Utility and any Price he want to sell to his Network). I will claim my Waves by selling HP to my Network and Make Investment(Trade). After I got profit with the borrowed(Invested) Money, I will repay %13 of Profit to the HP holders by making “Buy Order” , Or just simply buy from the last “Sell Orders” with this %13. By this I can Spread and Buy more HPs with Higher Wave Prices, and also you can use HPs for Any Utility you want to use. "I Wrote The Coins That I Am Making Investment In The Bottom Of The Post"
Buy HP now with the low price and make Investment or just contact with me if you want to sell anything with HP and we can Contribute. You can also contact with me for Big Options or Airdrop for HPs of %1 Max Supply. Let me tell with an Example: There is a person who wants to claim 10 Waves from his friend. He can take it Simply by Receiving Waves on his Wallet or he can buy 10HP for 1 Wave(just an example) and sell it his friend in Any Price He Wants. example: 3HP for 10 Waves. *Also Save HP as he wish for Trading or “Hodling”. By spreading it, The more user to use HP for any utility, The More Control of the HP Is Going To Giving to the Community. The more i get Waves, The more and Cheap HP i will sell. With this As Soon As Possible HP’s will Run Out Of on my Wallet by Giving them to the people with the Cheap Price. i iwill make some Bounties, Contents, Incentives to give you more HP. So you can use them to Raise Funds of yours and even in Platform . If you see any Fails or Imperfections in Project. Please Do Not Judge , Help Me To Solve And Support For The Growth With Your Ideas. I Will Buy MobileGo(MGO), WavesGo(WGO) , Turkish Lira(TRY) and Waves/BTC With Your Investments And Always Share The More Than %13 of Profit With You by The Order You Set For Sell . I Also Has Kucoin Account And Make Investments On Kucoin And Will Share The Profit With You Also. Electroneum(ETN) , Nano , Decentraland(MANA) , Ontology(ONT) , 0x(ZRX) , Stellar(XLM) , Tron(TRX) , VeChain(VET) , LalaWorld(LALA) , Convesting(COV) , DragonChain (DRGN), ClearPoll(POLL) , Status(SNT) , Zeepin(ZPT) , EOS.